Economically going beyond commercial pet foods. Are you concerned that your pet’s food comes up short, do you want to add delicious real pure foods? We realize feeding your pets very well can be expensive and confusing. BD’s mission is to make it easy to help your pets thrive! Why not consider including BD, taking your pets current diet to the next level. Get the benefits you desire very economically. BD is the most nutrition you can get. You will know your pets’ diet is in perfect balance by the results you quickly achieve! BD daily foods, between meals nutritional treats and natural holistic supplements. BD integrates seamlessly with most other foods. BD is your pet’s core superfood nutrition system. Feeding premium pet food is not the same as adding Balance Diet™ (Subtract 1/3 of your staple food and replace with ¼ BD) Incorporating BD into your pets diet can really make all the difference! Your dog and cat primarily need fresh unadulterated meat based nutrition – the most expensive, most difficult ingredient to use. 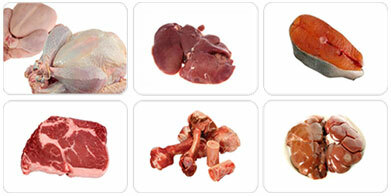 BD provides high levels of fresh meats, safe and easy for you. Not reprocessed heated grain as protein, or rendered heat re-processed meat and bone by-product meals depleted of fats and nutrients. This causes your pet’s system to work overtime to cope, leading to health complications. Even the guaranteed analysis will not tell you what you need to know about where and how the proteins are derived. BD is real, whole, cultured open air cured meats, veggies, fruits and herbs. BD has been making the finest pet nutrition for over 25 years. Dog and cat foods are made with denatured, rendered, recycled by-products and meals from various sources, and imported from developing countries. Meat by products are super heated to decontaminate, dehydrate and separate waste animal tissue from bone and fat, producing protein residue. BD has no ingredient called fat because we use real meat with naturally marbled fat, not sprayed on at the end of a steam extrusion process. BD is not extruded, only die cut cold. Commercial pet foods may contain high concentrations of low quality carbohydrate feed fines, and crumbs, that in many cases have been cooked and reprocessed up to 4 times. Disconnect your pet from the toxic rendering recycling industry. Societies depend on rendering and recycling, but your pet’s food should not. Pet food is basically the end of the line for recycled ingredients. Rendering creates a wide variety of pet foods and non food items but should not be your pets source for critical life giving nutrition. Commercial pet food is typically made with some or all recycled by-products, even ones that seem so sincere. So even if you do use such pet foods, BD supplementation can be of great benefit, achieving good nutrition. BD™ is making the world’s most nutritious foods, treats and supplements at the most reasonable pricing and the highest level of service! BD™ is functional, living, nutrient based raw-cured whole fresh foods innovation. Balance Diet™ has been ahead of the pack, on the cutting edge of food nutrition technology and product innovation since 1983. We were the first and only pet food company in the world to use fermentation technology to revolutionize pet nutrition, the first and only company in the world to create biological smart foods, utilizing our proprietary VitaMethod™ and VIMXX™ technology. 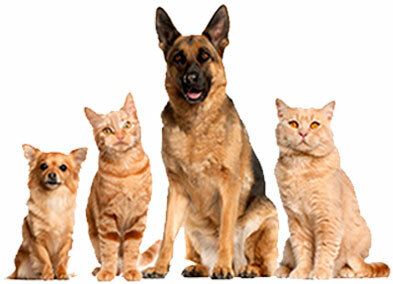 We believe Commercial pet foods are based on creative marketing, novelty, and scrap reclamation. Our view is that such pet foods are counterfeit and imitations far from holistic and fresh. Some “premium” brands promote the idea that barely enough is the same as what they call “balanced”… BD™ is Ideal for Real! Balance Diet™ pet nutrition products are a precision balance of fresh whole foods based nutrients your pets require for a longer, healthier life! Expertly hand crafted, artisanal pet foods. made in small batches and hand packed in the USA. The things we hold dearest have a lot to do with the selections we make – responsibility. We are a growing membership based community of concerned pet owners joining together to create a better way to feed the worlds best pet nutrition resource at affordable prices. 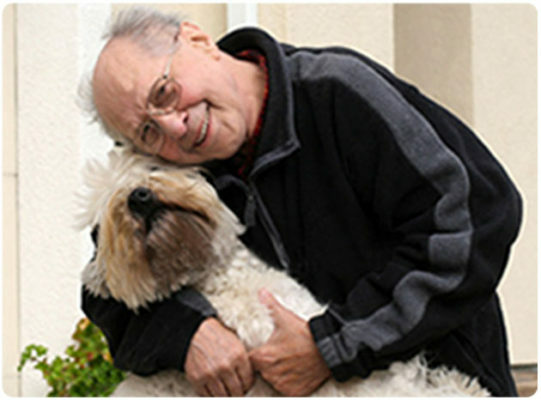 Making a difference for dogs and cats, and the people that love them. We welcome you to join our quest. Our commitment is to provide you with the purest, most effective pet nutrition products available in the world. Integrity without compromise. 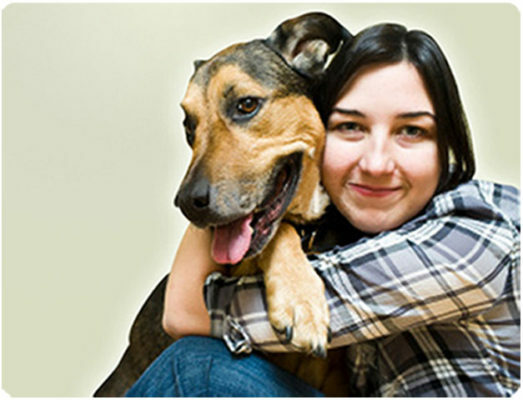 Our highest priority is your pets health. BD™ is the genuine and the original holistic pet superfood. We hope you enjoy the benefits of our commitment to quality. Our attention to detail sets the highest nutritional standard. Those in the know, know BD™. We at Balance Diet™ Pet Foods will do everything within our means to ensure that you receive the full benefit of our vast experience and exceptional customer care. From your first inquiry, through the ordering phase, to the delivery and feeding of your artisanal craft made pet nutrition. BD™ is zero waste to landfill – we’re doing our part by offering only sustainable natural products. BD™ all natural whole foods are up to 10 times more nutritious than commercial pet food. Extraordinary nutrition – Just watch the transformation! We want to make sure that you’re completely happy with your order. If you are not for any reason, please let us know via Customer Service and we’ll make sure you’re taken care of. If you need to exchange or return your order for any reason we’d be happy to help. We guarantee our products to be of true quality. From 30% to 85% percent of the nutrition in foods is destroyed during cooking, an average 50% percent loss. Fresh, raw, whole foods contain the highest levels of nutrients and enzymes. Enzymes are the catalyst for the hundreds of thousands of chemical reactions that occur throughout the body. Cooked foods and dry convenience diets have been denatured and are devoid of enzymes and life promoting elements. While they may maintain life, they do not promote optimum health or longevity. Raw food has much more to offer than a dog or cat’s body can actually metabolize. So while raw food itself is full of nutrients, much is wasted if they are not bio-available nutrients. Further, raw food is up to 80% water. This is where our proprietary VitaMethod™ fermentation and air curing process makes a profound difference, purging up to 86% of the water, unlocking much more of the fresh raw food nutrition. This process accesses a wealth of nutrients, even generating new healthful compounds (Take note — Commercially available Raw Diets are as much as 66% water). BD’s dark deep reddish brown color and pleasing, mild distinctive earthy aroma represents the purity of ingredients. BD’s food shape is also unique, designed to be the most inviting and satisfying, easy to chew, digestible food on the market. Flame polishing just before vacuum packing completes the process to insure a safe clean consistent wholesome product eliminating surface impurities, giving your pets the best of all worlds. Superior to either raw, freeze dried, or cooked foods. Safe, no nitrates or nitrites, economical, easy shipping and storage. BD-Farm fresh, direct. Balance Diet™ pet foods are almost 50% meat based by weight. BD™ foods have up to 3 times more digestability than home made diets, 5 times more real meat than commercial pet food with sky-high bioavailability. BD™ pet foods are among the most abundant sources known of amino acids including the 8 essential amino”s, and as many 22 amino acids. Our protein counts are higher but fermentation breaks down and purifies proteins and causes them to become very mild and easily digestible unlike heat processed by product proteins and gain sources. (Note: lower protein formulas are available for special needs). There may be tooth decay, skin ailments, the loss of vision, etc. As pets enter adult life there can be arthritis, hypoglycemia, heart conditions, strokes, diabetes, organ failure and cancers. All this and a multitude of other diseases may be unnecessary and are largely a result of improper diet and lifestyle! Today most people accept highly processed, cooked pet food as the normal means of supplying the body with nutrients, not realizing that the living cells of their pets bodies do not take adequate nourishment from the dead, inert and artificial ingredients found in highly processed food. And so, after a typical meal of processed pet food consisting of all manner of bulk fillers / by products / sugars, their stomach is full but their vital organs are stressed. Unwitting well intentioned pet owners believe they have satisfied the nutritional needs.In reality, they have given their pets body practically no real food holistic nourishment. And thus with a full stomach, they are slowly starving their body’s cells. There are two kinds of starvation. One type of starvation comes about because of a lack food. The second and most insidious starvation is progressive malnutrition over a period of time. There is plenty of “food” but it’s empty food. The food we feed our pets produces plenty of calories and energy but is almost completely devoid of natural nutrition which is vital for long term health. A good diet promotes good health and prevents the onset of disease, and heart breaking, costly veterinary complications. Wellness is a state of being where your pets enjoy all the energy, vitality and benefits life has to offer. One of the keys to achieving good health is to use the power of healthy foods to positively affect how your pets feel, how much energy they have, and the length and quality of their life. There is clear and definitive scientific evidence that proper nutrition plays an important and significant role in reducing the risk of degenerative diseases, and in providing long term health and longevity. The body is a living organism, made of living cells, which require living food in order to be properly nourished and function optimally. When we put cooked processed food in our pets body, loaded with chemical contaminants, the body begins to break down slowly. It begins in the very young with colic, rashes, colds, earaches, upset stomachs, swollen glands, infections and all manner of inflammation. © Copyright 1983 All Rights Reserved.